Like a tropical paradise in your own living room! Hang this striking flamingo print tapestry anywhere you need a little relaxing vibe. 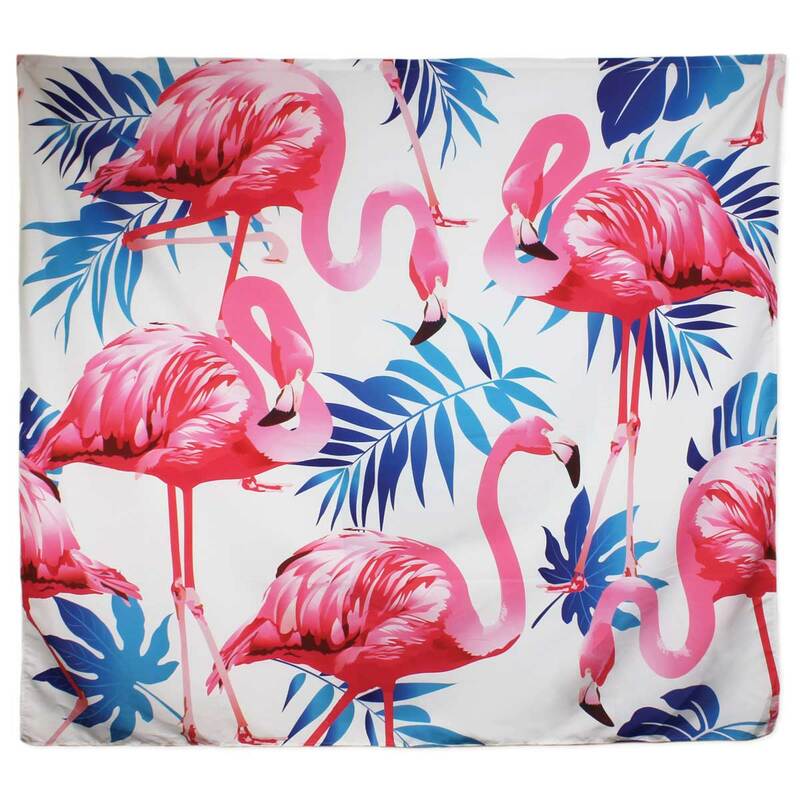 Bright pink flamingos and vibrant blue palm leaves adorn this white nylon tapestry. Measurements (approx.) 56" x 50"